If all goes according to plan, on September 5, 2017, the U.S. financial services industry will achieve “T+2” – that is, reduce the securities settlement cycle from the current “trade date plus three days” to “trade date plus two days” – a huge accomplishment expected to yield important benefits almost immediately after implementation. Not only will the move to T+2 reduce operational, systemic, and counterparty risk, limit the pro-cyclicality that can happen during times of volatility, lower liquidity needs, and enable capital to be freed up faster for reinvestment, it will also align the U.S. with other T+2 settlement markets across the globe. The enormous, multi-year undertaking to shorten the U.S. settlement cycle was not driven by regulatory mandate but rather was led and coordinated by market participants. This initiative demonstrates the industry’s ongoing commitment to con-tinual improvements in the operation of our capital markets. 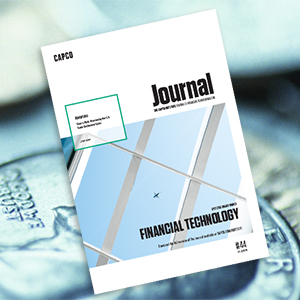 To read the rest of the article, Time is Risk: Shortening the U.S. Trade Settlement Cycle, go to the Capco Institute Journal of Financial Transformation.